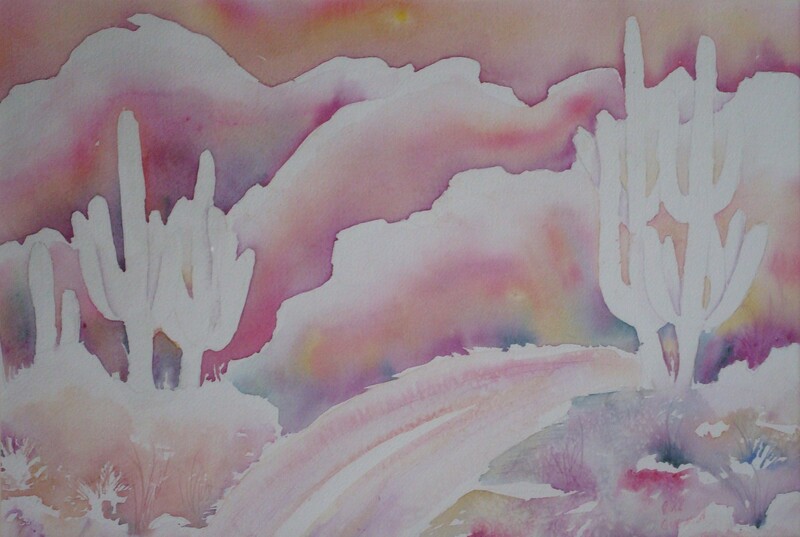 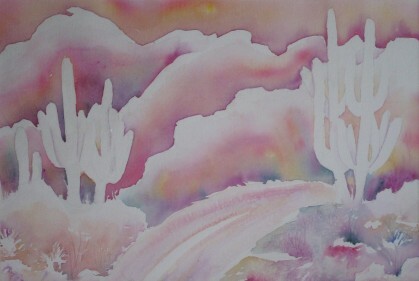 A desert landscape depicted in a technique that varies from my more traditional water color style. 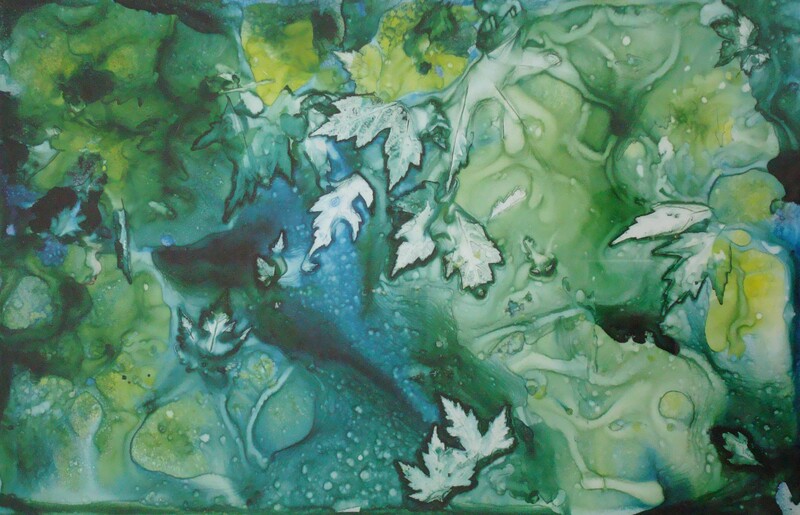 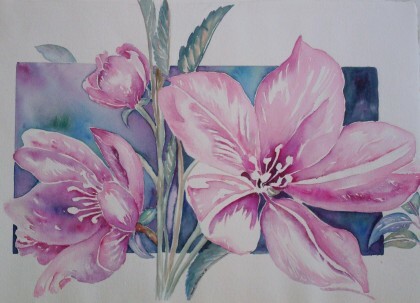 An experiment with ink, capturing natures splendor in a unique and exciting way. I was attempting a new way to paint “out of the box”, literally and figuratively.